Forged in ancient times by The Dark Knights of Cholesterol, Raw Cheese Power led a charge against the pretentiousness & snobbery of London's elitist cheesemonger 'establishment'. Cheese is for everyone & blessed are the cheese makers. 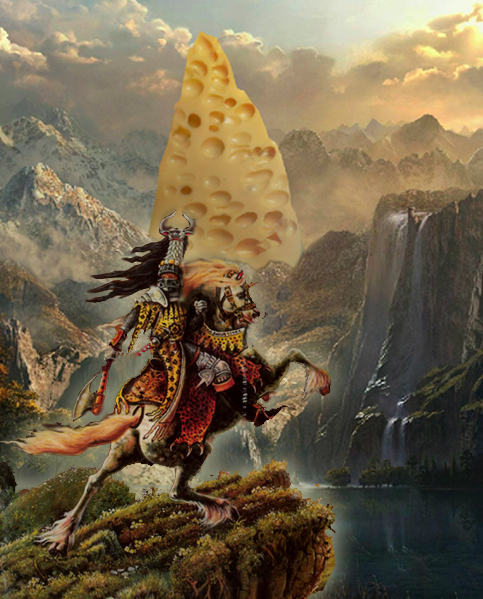 These cheese renegades became infamous for their regular beer & cheese themed banquets, "The Holy Cheese Mountain" & their battle cry "O Toma O Morte!" (Occitan for "cheese or death"), eventually gaining widespread recognition as the vanguard of small, artisan cheese makers, defending their heritage, methods & livelihoods from the onslaught of the supermarkets & their legions of bland, processed food.